AKIPRESS.COM - The fossil of a 43-million-year-old whale with four legs, webbed feet and hooves has been discovered in Peru, BBC reports. 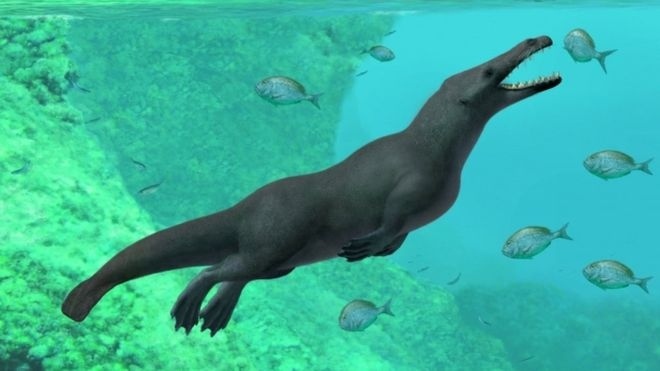 Palaeontologists believe the marine mammal's four-metre-long (13 ft) body was adapted to swim and walk on land. "This is the most complete specimen ever found for a four-legged whale outside of India and Pakistan," Dr Olivier Lambert, a scientist at the Royal Belgian Institute of Natural Sciences and co-author of the study, said.